Goa, the name says all. This tourist place needs no introduction at all. Goa has already lots of terms such as fun, beaches, natural attractions and all. Whenever we talk about Goa only one term comes in our mind which is beautiful beaches. Why can’t we think apart from that? There are numerous tourist places in Goa. From the beaches till the national parks, churches, hills, and backwaters you will explore practically everything in the state. To be said there are many places to visit and it may be tricky to visit all once at a time. Goa is the state by area and the fourth state by a population which is situated in West India in the Konkan region. This is one of the famous tourist destinations in the world. 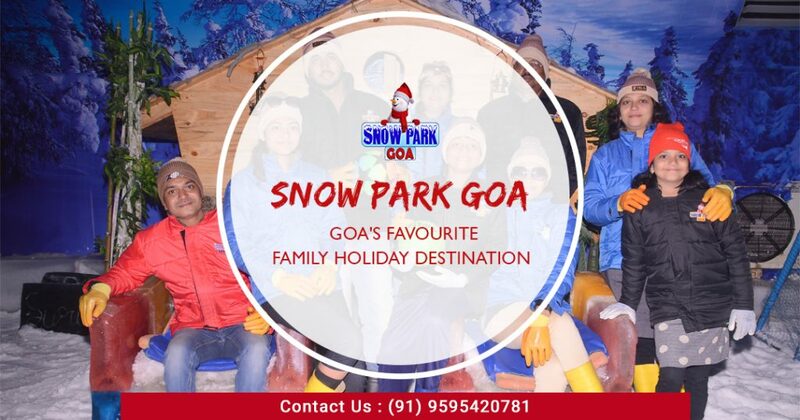 You will be amazed to know that Goa is not only for beaches and water sports, now Goa has ice amusement park too which adds charms to this place. If you want to beat the heat in this scorching summer especially in the place like Goa, then ice amusements parks are the best option. Apart from all sand beaches, old museums, ancient markets the ice amusement parks are something different to try on. From young to old the ice amusement parks is proved as ideal vacation hotspot for all. These types of amusement parks provide you a completely different experience with snow on the snow based adventure that’s why these parks are getting famous day by day. One thing is very excellent about these type of parks is that you don’t need to wait for snow; you can visit and enjoy with your family at any time of the year because these parks are open entire year. The entire fun is coming your way with the best theme parks in goa for your family and friends. The park provide you real adventure with snow, you will get to play with really kind of snow, various ice sliders, Dj dancing, climbing walls, drinks in real ice glass etc. These are some you will take part in lots of other activities also. If you have not decided yet about your summer holidays plan, then this is the perfect time to visit there and enjoy with your loved ones. Slide down in the ice park on the awesome snow tracks. Explore beautiful snow park with full energy. Beaches you can’t leave them on track: Glimpse of Goa is all about beaches that is why Goa is famous for. The beautiful beaches, one of the famous beach of Goa is Baga Beach, this is one of the most centres of tourist attraction. This beach proved an entertaining point from sunrise to sunset because of adventure water sports. There are lots of other tourist places near Baga beach where you can visit. Contact us, if you want more details about the famous ice amusement park.